Dell Mini 3i Android UK bound? Dell's Mini 3i Android phone - which has gone around the houses globally - is apparently coming to the UK in the near future. 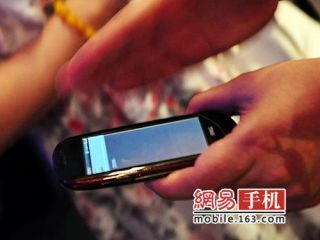 The Android-toting phone, which was first released in China but will also be heading to the US, is a pretty basic device, with a 3MP camera and a sub-VGA display. According to ElectricPig, the reps at the CES stand have said the phone was "built with the UK specifically in mind", which we've translated to mean it will be coming over here soon. The Android device has a 3.5-inch touchscreen with a slight overlay, although it's not going to be HTC's Sense-beating or anything. As it's Android phone, we can expect the fun of Wi-Fi, 3G and GPS - but beyond that we don't have a UK release date, nor any idea about which carriers will be picking it up. Stay tuned for more updates - it will be interesting to see if Dell can enter a very saturated mobile market at this stage of the game.